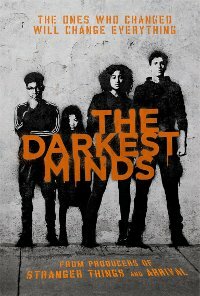 Based on the first book in the best-selling youth series, this story is set in a dystopian future. When teens mysteriously develop powerful new abilities, they are declared a threat by the government and detained. A sixteen-year-old girl, one of the most powerful young people anyone has encountered, escapes her camp and joins a group of runaway teens seeking safe haven. Soon this new-found family realises that, in a world in which the adults in power have betrayed them, running is not enough and they must wage a resistance, using their collective power to take back control of their future. Language Mild to moderate/ Infrequent/ Used in derogatory context and to express frustrations. Violence Moderate impact/ Frequent/ Realitic and Choreographed/ Minimal blood-letting. Prejudice Mild Impact/ Frequent/ Disapproved of/ Group Stereotype. 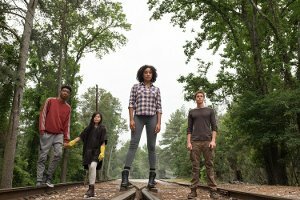 Comments DARKEST MINDS is an American sci-fi/ thriller film genre exploring a mysterious disease outbreak affecting children and killing thousands of them. The children who are affected but did not die are treated unjustly and prejudiced against by the government - which kills them and send some of them to the concentration camps. One such children who was sent to the concentration camp is 16 year old Ruby, who annoyed by the unjust treatment at the camps, escapes and joins other runaways who are seeking a safe place to stay. Ruby and her fellow escapees use their supernatural powers developed as a result of being infected by the I.A.A.N disease to fight of the government and eventually emerge victorious in the battle against the immoral government. Complex and mature themes psychological themes exploring deception, new world order, supernatural powers, prejudice against people who are different, sci-fi, rebellion, segregation, love, family, friendships, rejection, and teamwork which are laced with dark emotional undertones as well as a sustained sense of threat and menace. The themes may not be appropriate for children under 13 years old as they find them confusing, disturbing or upsetting. The themes may also be psychologically harmful to children under 13 years old due to the unjust, immoral treatment meted out to the infected children.